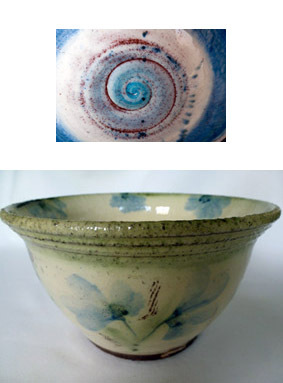 I am a potter, based in Cheltenham, Gloucestershire. I love to make pots for people to use in their everyday lives. Please explore my website to find out more - or, even better, come and visit me at any of the venues mentioned on the How to buy page. Pots need to be picked up and handled to be fully appreciated.